About Gopaldas Visram & Co.
Gopaldas Visram & Co. Ltd (GVCL) is a group of companies specializing in liquids, ointments, and personal care product formulation development and manufacturing for the pharmaceutical and cosmeceutical industry. Founded in 1945, the group has been researching, developing, and manufacturing some of India’s top brands in the Pharmaceutical and Cosmeceutical segments for over 70 years. With over 2,20,000 sq ft of manufacturing area, GVCL has provided manufacturing support to India’s top pharmaceutical companies. We Believe in building Strong Business Relationships & provide exceptional results to our customers, through collaboration and direct line of communication, thereby upholding a value system with trust, integrity & dignity. Our team works in collaboration with our customers & ensures that they obtain the highest quality and value for their business. We are a pharmaceutical and cosmeceutical manufacturing company serving our customers for 70 years. We cater to the pharma and cosmetics industry with our expertise in formulation development. Impact people’s lives by providing high quality healthcare products and services that exceed expectations of patients through our customers. Cheryl Laboratories is a Cosmeceutical Research, Development, and Manufacturing company focused on creating a remarkable impact on people’s lives. 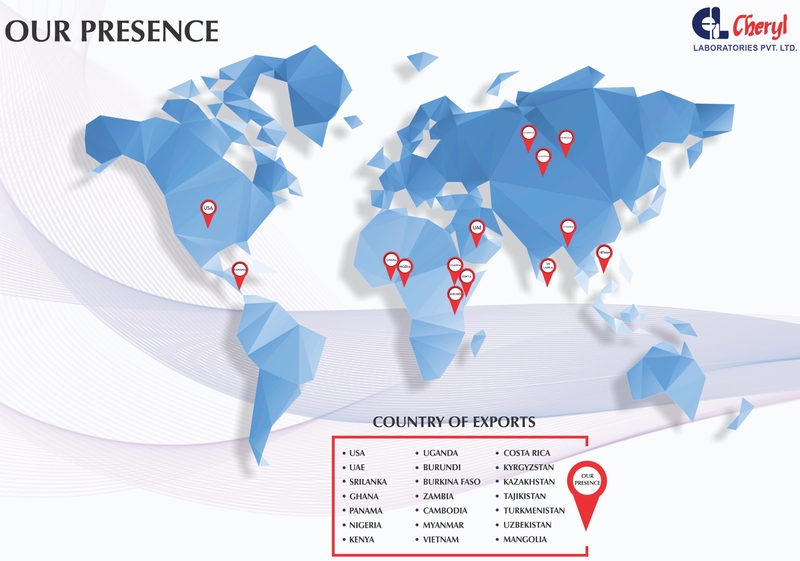 We cater to our customers in India as well as Internationally with the most advanced and unique combinations of high quality pristine products for the cosmeceutical industry. Krupa Labequi manufactures diagnostic /pathological/medical disposables products for laboratories and hospitals. Completely sterile and innovative anticoagulant spraying technology results in quality standard production.ISO 6710 and CLSI guidelines are followed in the manufacturing facility. GBC Packaging manufactures niche novel packaging for pharma as well as other industries. We are a one stop solution for packaging of Pharma, cosmetics, Veterinary, labware and other industries products. Inception of Gopaldas Visram Co & Ltd Pharmaceuticals business. Acquired LL business from Glenmark Pharmaceuticals. Started a factory at Andheri MIDC. Setup our Mahape plant and acquisition of Cheryl Laboratories in Goa. Cheryl Laboratories transferred to Mahape from Goa. Started GBC packaging at Bhiwandi. Started GBC packaging started at Goa with capacity of 1.5 million bottles / day. Gopaldas factories start producing liquids, ointment, powder, granules, dusting powder.